JW Marriott Hotels & Resorts continues to expand its global, luxury collection with the brand new 501-room JW Marriott Hotel Shanghai Changfeng Park. 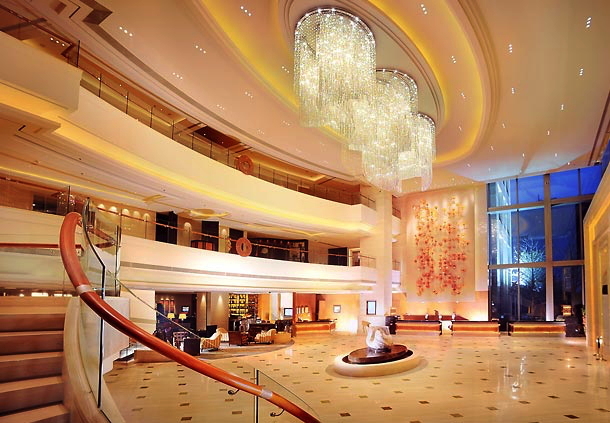 Located in Putuo District of the Shanghai city, the hotel will be the second JW Marriott in Shanghai. Originally branded as a Marriott Hotels property under a long-term management agreement with the New Development Group Co., LTD. the hotel has been recognized as the first international five-star establishment in Putuo. Given the hotel’s exceptional services, refined design, unique location and level of sophistication, Marriott International saw an opportunity to brand the property a JW Marriott to further elevate its already established luxury offerings and positioning. “Since opening in 2010, this gorgeous hotel has been instrumental in bringing sophisticated luxury services to west Shanghai. Its rebranding into JW Marriott will enable guests to experience the quiet luxury they seek in a warmly authentic, relaxed atmosphere lacking in pretense. As second JW Marriott hotel in Shanghai and the tenth in China, the rebranding also speaks to the growing popularity of the JW Marriott brand in China,” said Henry Lee, Chief Operations Officer – Greater China of Marriott International. “Our hotel has always been a trend setter of luxury hotel services in west Shanghai. The new JW Marriott Changfeng Park will continue to provide guests with memorable experiences, now enriched with the intuitive service, artfully delivered experiences and well-being focus the JW Marriott brand is known for – both in China and around the world,” said Richard Saul, General Manager of JW Marriott Hotel Shanghai Changfeng Park. The JW Marriott Hotel Shanghai Changfeng Park has six world-class restaurants including the newly renovated Park Café, Sakitori and The Lobby Lounge, providing versatile and unique culinary experiences. Park Café is an enticing all-day dining restaurant that features healthy and delicious international cuisine. Japanese restaurant Sakitori offers authentic fare prepared by Japanese native chefs while The Lobby Lounge brings classic high tea experience and a treat of stylish delicacies. Upscale Chinese restaurant Pearl offers authentic Cantonese and local Shanghai cuisine while DÔME Steak and Wine brings quality steaks that will rival the best in town. Finally Panorama Bar, located at the top floor, offers a wide selection of wines, whisky and cigars. The hotel offers more than 1,500 square meters of multi-function event space featuring the state-of-the-art technologies and facilities. Venues include a 770-square meter Grand Ballroom and 13 individual function rooms equipped with wireless high-speed internet access and an LED wall. In addition, the hotel boasts a versatile area that can be turned into an assembly point for MICE guests, group check-in desk, or even a venue for coffee breaks and cocktail receptions, providing great flexibility for guests.